A fun bright snowy winter is coming to your fireplace. 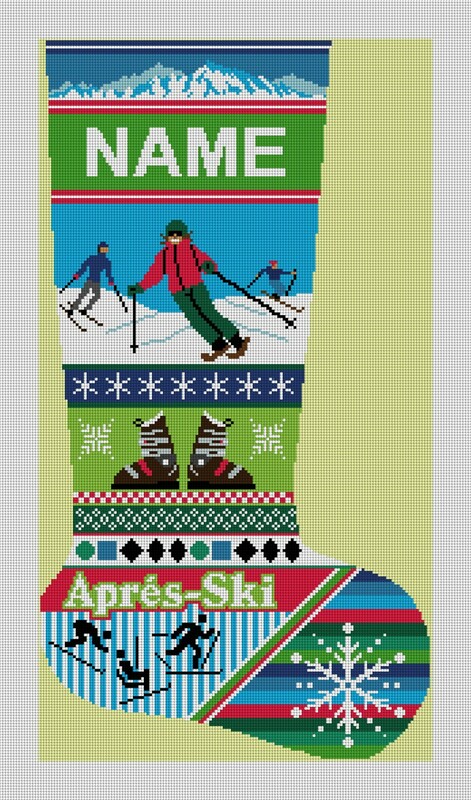 The Winter Ski Christmas Stocking Needlepoint Canvas is a perfect project for the families who love to spend time outdoors playing in the snow. This design not only can be done in tent stitches, but for the more adventures stitcher, this is a great one to mix in different patterns to make this a real eye popper! The name will be personalized on your canvas, so please don't forget to include that in the notes on this page when you place your order.